The Serval is a medium sized African wildcat with long pointed ears and long slender legs. Servals can be seen in a number of countries in sub-Saharan Africa, across the east, west and south of the continent. 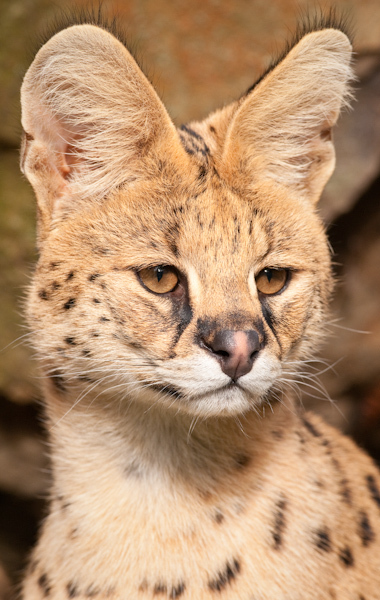 Modern DNA analysis indicates Servals descend from the same felid ancestor as the Lion. The Serval’s long legs are designed for jumping and can leap 3 metres into the air to catch its prey. The Ancient Egyptians worshipped the Serval as gods, and kept them as pets.